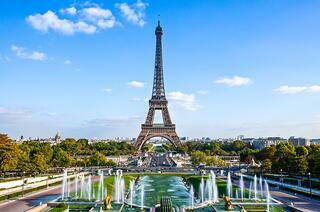 The FAIR Institute is very happy to announce the founding of our newest chapter in Paris, France! The inaugural chapter meeting we will be held this fall and led by Paris Co-Chairs, Christophe Foret and Tom Callaghan of C-Risk, a consulting firm specializing in risk analysis and FAIR training. The Paris Chapter marks the tenth, active chapter for the FAIR Institute as we continue to expand around the world (see the chapter list here). Membership to the FAIR Institute continues to grow every day with more industry experts learning about and using the FAIR model. In the past two months, the FAIR Institute hosted five chapter meetings in Washington, D.C., Chicago, Toronto, San Francisco, and Los Angeles. Each meeting covered diverse topics including discussions on Jack Jones' new eBook "An Executive's Guide to Cyber Risk Economics", presentations on FAIR and statistics, and learning about how to best control your bias around certain risk. Stay tuned for news on the next Chapter Meetings being hosted in the late summer and early fall. If you would like to become more involved in the FAIR Institute or start a new FAIR Chapter, please contact us. The FAIR Institute has other great events coming up in the next months! Our next Workgroup Calls are scheduled for July 6th and 7th and will have Jack Jones leading both discussions. The FAIR Data Integration Workgroup Call, on July 6th will consist of a walkthrough of a ransomware case analysis and the Cyber Risk Management Workgroup Call, held on July 7th, will be discussing Jack's new eBook. Sign up today to reserve your spot on the call! The FAIR Institute also has an exciting fall with The FAIR Conference scheduled on October 16th and 17th in Dallas, Texas. FAIRCON17 brings leaders in information and operational risk management together to explore best FAIR practices that produce greater value and alignment with business goals. This year, we're extending our time at FAIRCON17 to include an on-site Introductory FAIR Training course, October 17-19, for those that wish to partake in this optional conference add-on.